Hanoi (VNA) – A two-day conference on synthetic drug situation and emerging trends in East and South-East Asia was convened in Hanoi on August 29. 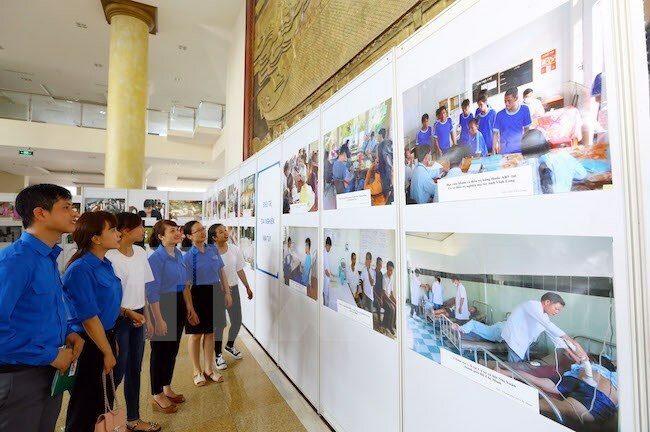 The event was co-organised by the United Nations Office on Drugs and Crime (UNODC) and the Standing Office for Drug Control (SODC) under the Vietnam Ministry of Public Security. SODC deputy head Colonel Hoang Anh Tuyen said the expansion of the synthetic drug market is threatening over 100 countries worldwide, with more than 600 new types discovered recently and many of them not included in national and international lists of illicit drugs. Tuyen said regional countries should be more proactive in building and implementing synthetic drug control policies and strategies, as well as cooperate to devise regional initiatives and mobilise financial resources for the work. Jeremy Douglas, Regional Representative of the UNODC for Southeast Asia and the Pacific, put forth a number of measures. He said regional countries need to have effective data systems on drug use, which are closely linked together, and law enforcement agencies should pay more attention to drug precursors used in drug production, like methamphetamine.